My holiday in Europe is beginning to fade from memory but there are still one or two subjects relevant to the concerns of Green Path that I would like to discuss. One of them is the visibility of renewable energy production. Rather than follow our itinerary I will work from North to South, so I begin in Scotland. The most visible of the renewable energy sources was wind power. 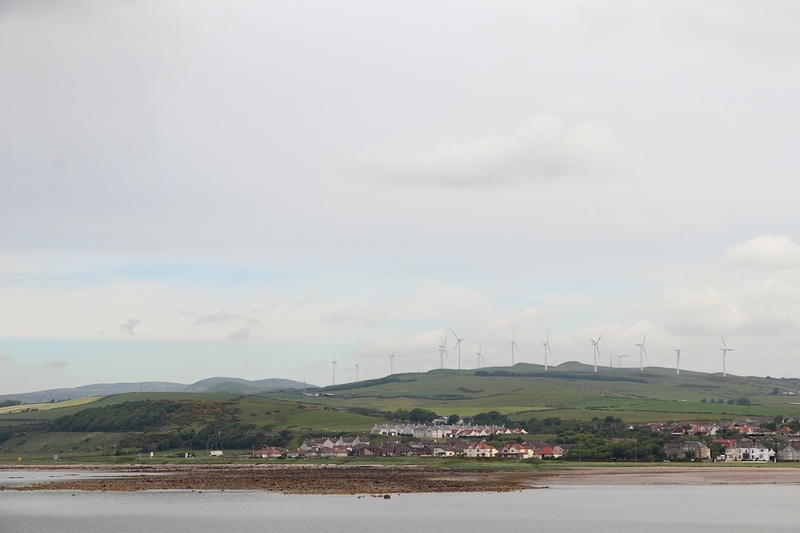 As we drove from Ayr to Edinburgh (clear across the width of Scotland but only a couple of hours in the car), a row of windmills was often in view on a hilltop or ridge; sometimes half a dozen of them, sometimes bigger groups as in the photo above. I noticed one rural enterprise (a piggery or chicken farm, perhaps – one huge shed, anyway) had gone it alone, with a two-bladed windmill rather smaller than the commercial units. Solar power was obviously not so popular – and for really obvious reasons when you think about variability of day length this far from the equator and then factor in the reputation of Scottish weather. The example above is one of only two or three I saw in a town of several thousand houses. 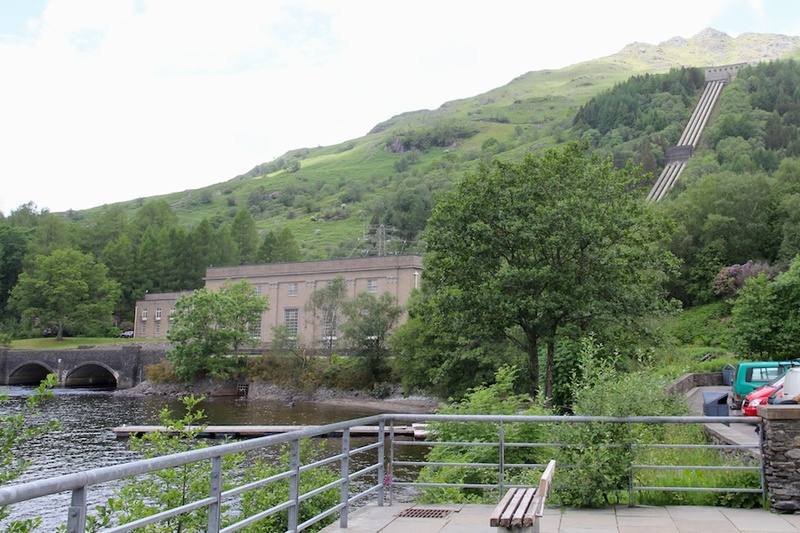 Hydro-electric power is still in use and we saw two installations – this one feeding into Loch Lomond (1940s) and another at Loch Doon (1930s). 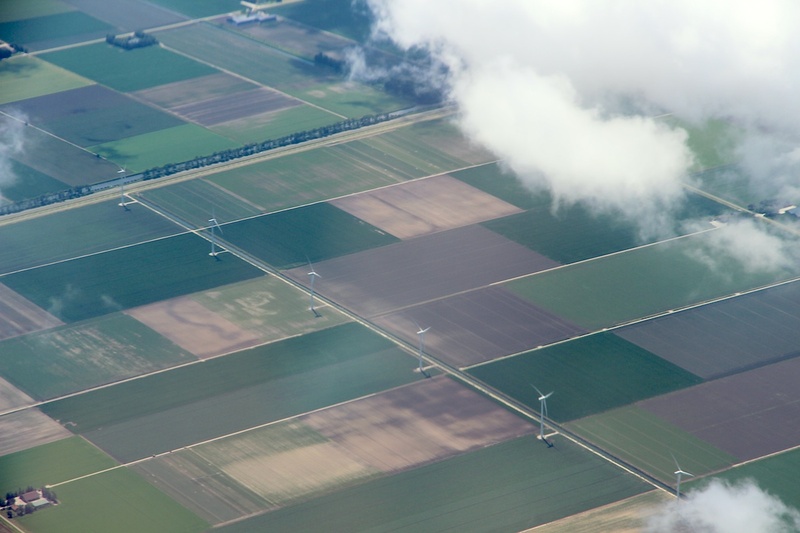 We didn’t spend any time in Holland but wind power was part of the scenery as we flew into and out of Schiphol on our way from Frankfurt to Glasgow. A constant complaint about wind power here in Australia is that the windmills “intrude on the landscape” or words to that effect, but after a week or so in Scotland I’m ready to say that’s nonsense: once the first strangeness wore off, they were no more intrusive than buildings or a row of pylons, and they are actually rather graceful. Germany has invested more in renewable energy than most countries but it wasn’t at all obvious to us in Frankfurt or Heidelberg or on a side trip to a wine-growing region on the Rhine. Local conditions again need to be taken into account, and in Frankfurt we need to consider the nature of the housing stock. 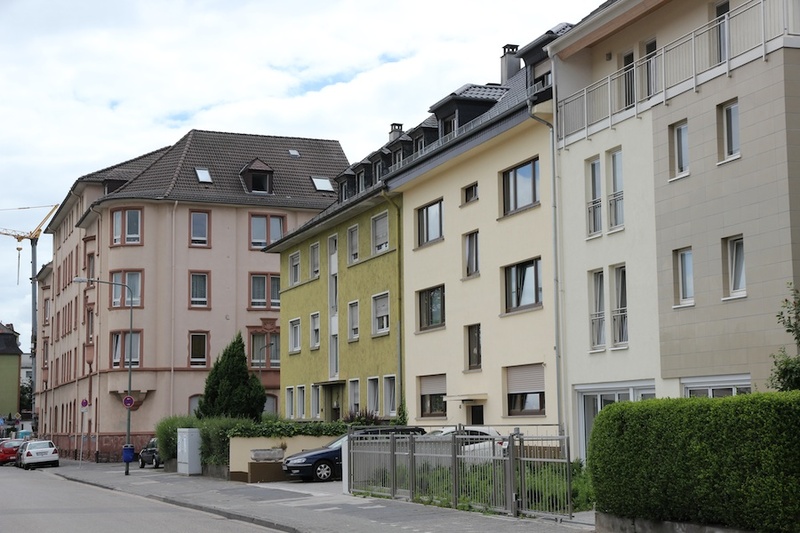 Most people live in apartment blocks like these, and one consequence is that the amount of roof space per household is one quarter of what it would be in a Australian suburb with its single storey houses. And most people rent their apartments, so they have no reason to invest in a roof-top system, even if they could get permission. Furthermore, Frankfurt is not the best part of Germany for solar power (see map). Wikipedia’s article on renewable energy in Germany reveals that several technologies are contributing significant amounts of power – as of 2010, wind (about 50 000 GWh) was followed quite closely by biomass, hydro, photovoltaics and bio-waste (about 7 000 GWh). That, to me, is healthy, since (1) we need to take advantage of whatever is most readily available, and (2) a spread of sources will maximise energy security. Finally, Turkey seems to be in catch-up mode. Again, local solutions will reflect local conditions. 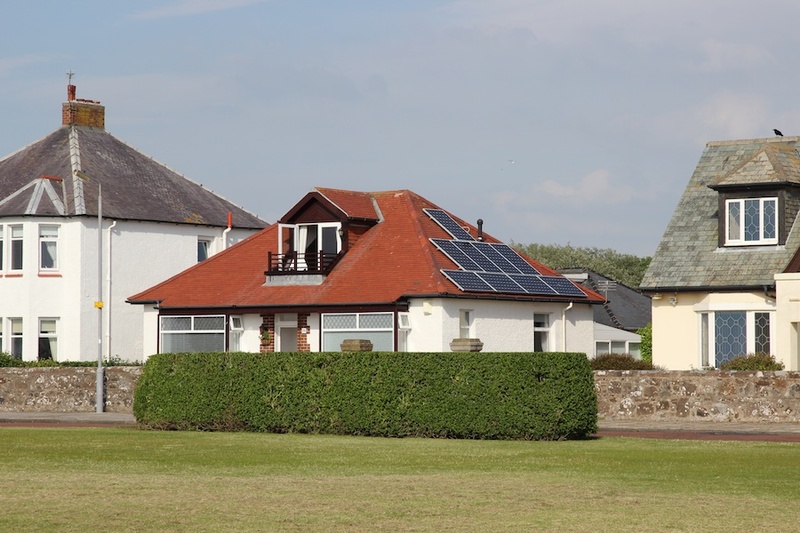 Hydro-electric and geothermal power is relatively well developed already, and solar power will be far more attractive than in Scotland but is presently limited; passive solar hot water systems are fairly common but photovoltaic systems are not (see wikipedia again). Incidentally, their headline photo shows the same installation I featured at the top of my post.